I see there are 2 output jacks on the guitar, even on the guitars without piezo. What are each of these jacks for? Can you explain how you guys come up with 8 million combinations? Do it take into account that there are 10 volume and tone settings az well? Please review the control function diagrams found on The Game Changer specs page for information regarding the jacks. Can we download the software just to understand what sort of wiring is feasible even if we don't have a game changer yet? is the iPhone app available? is the gamechanger in HSH config will come with pup cover or not ? Are there concrete plans to implement the gamechanger system on all EBMM models? If so, what is the timeframe for this? Will it be a build-to-order option? I see on the app screenshots that there is a button with a musical note. Does that provide a "preview" of the pickup combination? Also, is an internet connection required for running the app or just to connect to the bank database. The Game Changer is only offered on the Reflex HH Bass, and the HH, HHP, HSH, and HSHP Guitar at this time. There is on the fly auditioning on the web app. At this time, web access is required. However, there have been discussions for lite offline capabilities. 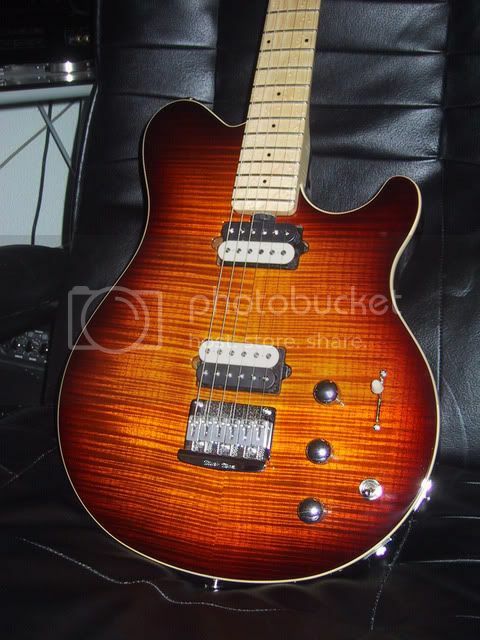 Is it possible to swap out the pickups with any off-the-shelf pickups? If so, how difficult would the process be compared to a typical guitar? Last edited by mantrarock; 01-18-2011 at 10:12 AM.